SpaceCom, the one-stop technology and business showcase! SpaceCom 2019 is the only civilian conference and exposition where industry, aerospace, and government meet. It’s where professionals from the aerospace and commercial sectors convene for two days to gain insights during forward-looking conference sessions, see firsthand, cutting-edge technology in an interactive exhibit hall. Explore space applications that help you to increase sales and market share. Learn how the use of data from space satellites can drive new global commercial markets. Interact with NASA and the commercial space industry to provide technology that helps fulfill their mission. Discover new space derived applications that can revolutionize your company and your industry. Network with government leaders, international space ports, aerospace executives, innovative startups, and a vibrant investment community. 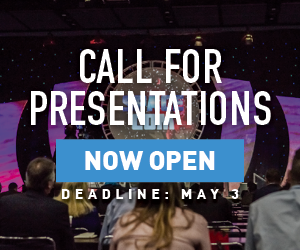 The entire SpaceCom 2019 program focuses on in-depth education, interactive exchanges, and fostering connections to help attendees explore new markets, improve profits, and close contracts. Learn from the visionaries and innovators in your industry. SpaceCom 2019’s show floor and exposition is packed with content, products, and premium engagement opportunities that will help you capitalize on the commercialization of space to accelerate growth and profitability. With thousands of services and products across 24,000 square feet, you won’t want to miss a minute.